Today was our first day at Epcot Food & Wine Festival. Over our two week holiday, we visited a total of three times – making the most of trying as many of the dishes as we could! We decided not to use the car today, and instead get to Epcot using Disney’s transportation. I knew Steve and I would want to drink alcohol, and I have a zero drinking and driving policy. 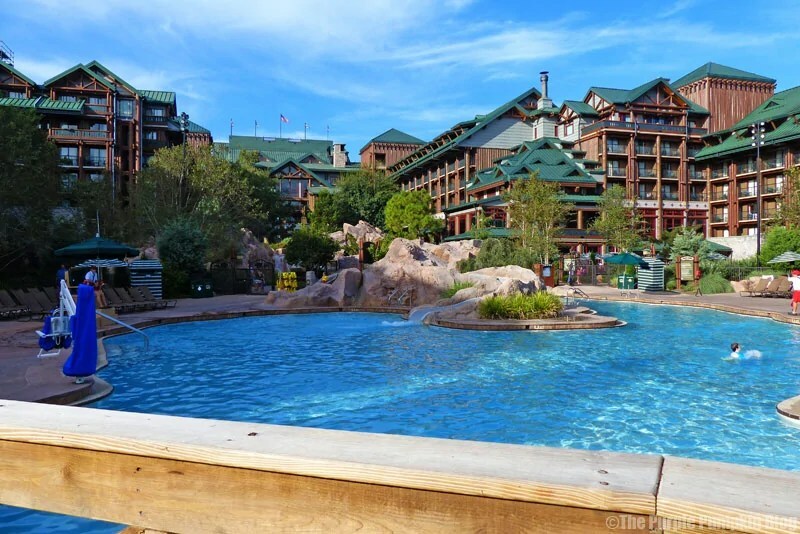 We discovered that there was a set of stairs at our end of the hotel corridor, that led us out to the main swimming pool of Wilderness Lodge, which you can walk behind and around to the boat dock. The plan was to take the boat over to Magic Kingdom, and then the Monorail from there to Transportation and Ticket Center, to catch the Epcot Monorail line – something we haven’t ever done before. The walk to the boat dock was very scenic, as was the journey on the boat, which takes about 10 minutes from Disney’s Wilderness Lodge to Magic Kingdom. It made me feel very glad that we chose this resort to stay at, and we wouldn’t hesitate to stay here again in the future. You feel so out of the way here, but so close to the magic too! You can also catch a boat from this dock to Fort Wilderness. The boat dock at Wilderness Lodge is situated in Bay Lake, which connects with Seven Seas Lagoon. The journey takes you over World Drive, past Disney’s Contemporary Resort, and under the monorail. I can’t tell you how excited I was to see Cinderella Castle come into site in the distance! As the boat docked, I commented how very busy Magic Kingdom looked, and how surprised I was to see it that way. I’d always thought October was quieter than August, but I think it felt a lot busier. It wouldn’t put me off going again at this time of year though – we have always gone on holiday to Orlando expecting crowds. We walked up the ramp to catch the monorail round to the Transportation and Ticket Center, as you can’t catch the Epcot line from the Magic Kingdom station. We just missed a Monorail to Epcot, so had to wait a bit for the next one, but were soon on our way again. I can’t say how long the journey took, as I didn’t make a note of it, but it didn’t feel too long at all. The Epcot Monorail line actually goes into the park, and loops around Spaceship Earth (that’s the giant golf ball looking structure! ), so that it’s facing the right way to go back to the Transportation and Ticket Center. It was very cool to see Epcot from a completely different angle. The monorail car was packed, so getting photos was a bit tricky, but I did get a few – the one I really wanted though, of Spaceship Earth, didn’t happen. We disembarked, and joined the line to get into Epcot. The plan was to completely bypass everything in Future World and head straight for the Festival Center to pick up the festival passport, to get stamped as we ate our way around the world!